The Ford Focus ST has been highly praised for combination of performance, handling and value. 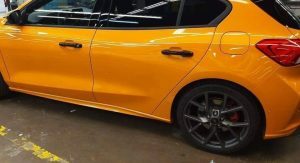 The company is working on an all-new model and several pictures of the hot hatch recently surfaced on a private forum. Looking more elegant and aggressive than its predecessor, the 2019 Focus ST features a prominent grille with a honeycomb mesh insert. 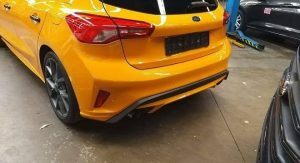 The model has also been equipped with a unique front bumper that echoes the one offered on the Focus ST-Line. Despite the similarities, the Focus ST has grey accents and a larger front splitter. The honeycomb mesh pattern is also echoed on the lower air intake, unlike the more affordable Focus ST-Line. Moving further back, we can see unique side skirts and gloss black door handles. 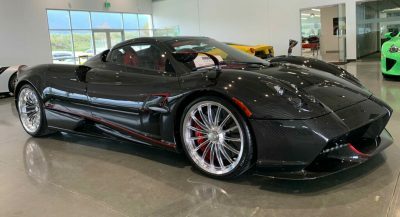 The model has also been equipped with lightweight wheels that are backed up by a high-performance braking system with red calipers. 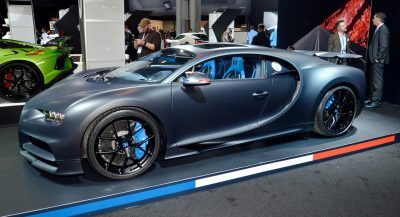 The two-tone design continues at the rear as the model has a gloss black spoiler and a painted diffuser. Designers also installed a lightly modified bumper and a dual exhaust system. 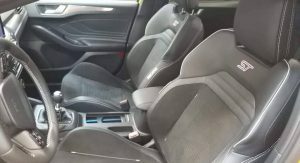 Interior changes don’t appear to be drastic, but the model has Recaro sport seats with ST badging on the backrests. Elsewhere, we can see faux carbon fiber trim, metallic accents and a leather-wrapped steering wheel with white contrast stitching. Of course, the Focus ST is all about performance and the car is slated to use a new 2.3-liter EcoBoost four-cylinder engine. It produces 286 hp (213 kW / 290 PS) and 324 lb-ft (440 Nm) of torque in Euro-spec Mustang, but its output in the Focus ST remains unconfirmed. Regardless of the engine’s specifications, the model will feature an assortment of other performance upgrades. Many of the changes will focus on the suspension which should be lower and stiffer than the one used on the standard model. 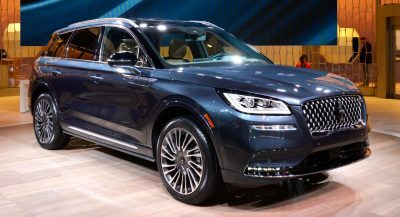 Ford has been tight-lipped about the car, but it won’t be debuting at the Geneva Motor Show as the company has already announced plans to skip the event. Thanks to H. for the tip! That’s true but it wouldn’t take them much to import them here. I suspect if you ask loudly enough, Ford may provide. 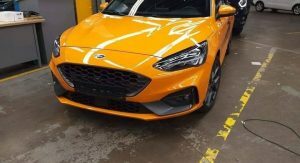 For example, here in Australia, Ford is not bothering with the regular Fiesta lineup due to poor sales, but will be importing the Fiesta ST to satisfy enthusiast demand. Someone need to get a petition started to get the ranger raptor here to the states. We need it. You’ll probably still get it, but not with the engine currently fitted to the Aussie version. I highly doubt a 2.0ltr Twin Turbo Diesel will be very attractive to the US Market. … or make them as u.s. spec and import them. Depends on how successful the Japanese/Korean brands are at selling their cars from here on out. I think if Hyundai/Kia, Toyota, Honda, and Mazda can prove that there is a market for selling hot hatches then Ford will re-enter the space. If not, then I doubt they’ll do it. Interestingly enough I think Hyundai and Toyota are proving to be successful with their newer hatchback offerings and only time will tell if it pays off. 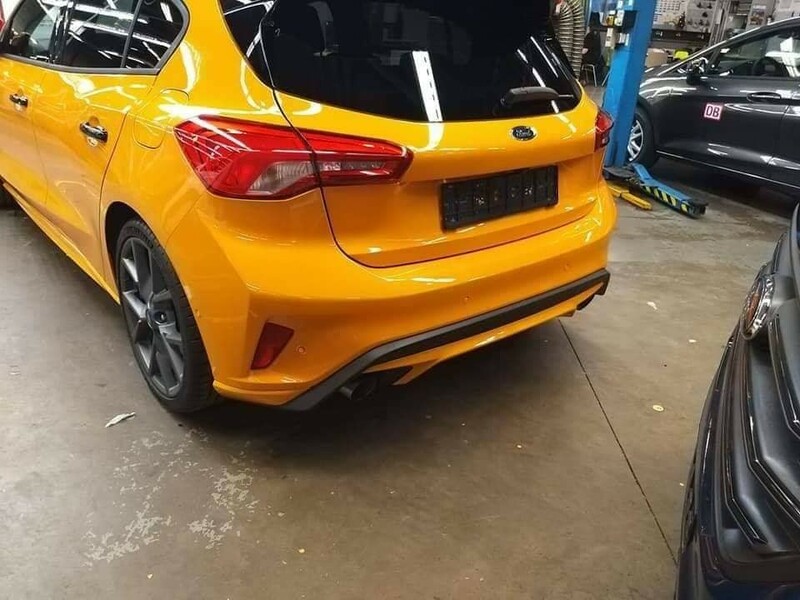 So they can import the European Fords instead. practical and zippy fast, that will equal a high fun factor. I would imagine that this gen will handle even better than before due to the wider track and wheel base. looking forward to see reviews on this. The big tell tale will be the change from Independent rear suspension to a Torsion Bar set up. Only the base Focus trim levels have torsion beam rear suspension (borrowed from the new Fiesta ST), while the ST-Line and ST feature multi-link. Not here in Australia apparently. 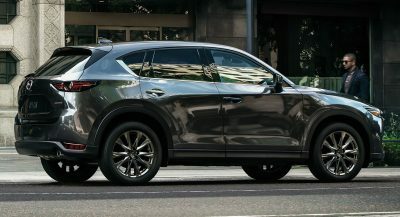 The only model coming to us with Multi-link is the Active semi SUV model. Odd. Still, I feel like it is very likely the actual Focus ST will only be manufactured with IRS regardless of market. Doubt they’d compromise here on a sport-focused model. We can at least hope. Along with an Auto shifter too. Yep, I’m almost positive Ford AU will bring the eight-speed TC auto option here (featured in a different leak). 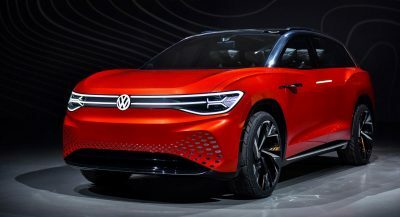 Honestly wouldn’t surprise me if that is ALL they offer, similar to what VW is doing with the GTI and R moving forward. The ST has only ever been a manual offering in Australia, so I certainly hope both transmissions will be offered. ST-Line has torsion in the UK. Well, it does for the standard ST-Line, I think the ST-Line X may have multi-link. Just as the Focus ST is really a well refined hot hatch, we won’t get it here in the states. Oh well. Looks good, except for the wheels, they’re boring. Should have had colour coded door handles though. Pity this is more than likely going to be Manual only. I quite like the accented door handles, personally. Gives it more character. Also, an automatic transmission is basically confirmed via leaks showing a rotary drive selector. Will most likely be the eight-speed torque converter from the rest of the new Focus range. It’s about time, and will certainly increase their sales. The new Focus looks good and it’s too bad Ford isn’t selling it here. 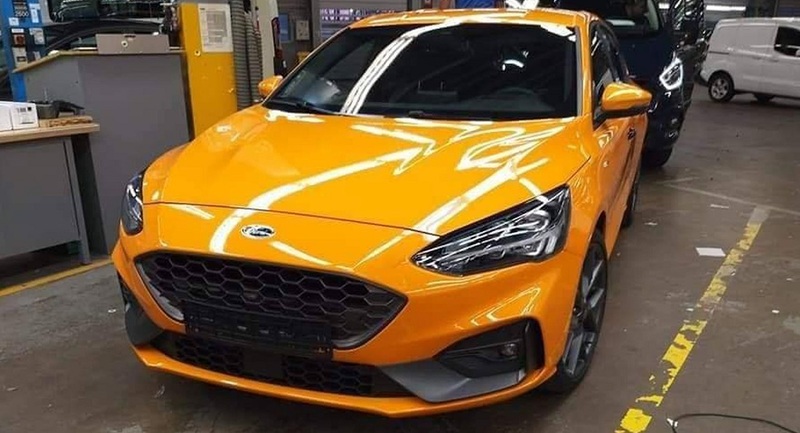 I really think they should equip the Focus with AWD and bring the sedan, hatch and wagon along with the ST back for 2020. Ford has to be crazy to abandon cars. They sell volumes!!! I agree. Soon people will go from SUVs to hatchbacks and they will miss the boat. They need an entry level car to get people into showrooms for upsells. Also.. they did plenty of volume… they just didn’t production plan well. Drop the sales figures to realistic numbers and they would be ok. The decision just to drop it altogether sounds smart for an investor, but dumb from a long term perspective. It’s a complete loss of marketshare. Seriously ugly, like all other Focus generations after all. C’mon Ford, the last gen STs did quite well I think. Just import FoST and FiST separately from the rest of the model range. With only 2 competitors in the US hot hatch market there’s bound to be some profit to make. I feel sorry for the Americans. 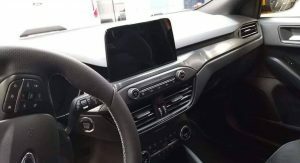 So Ford finally puts a decent looking dashboard in the Focus and decides not to sell it in the US. One can only hope it makes its way into the Escape. Damn, Europe’s getting screwed with the horsepower of the Ecoboost Mustang. Is this our punishment, Ford? Mainly because Ford won’t sell it in the US. I am glad this car has a 6-speed because I’ve heard a rumor the Ford Focus ST will only get an 8-speed automatic. I’m fine with that as an option on the ST as the Volkswagen Golf GTI gets a dual-clutch semi-automatic option.